The I-Soldier duplicates the traditional warmth of a 6/5/4 and provides the added thermal qualities of Yamamoto SCS Nano Hydrodynamic Coating in a 5-4 mm neoprene that that is much lighter and warmer than your conventional petrol-based neoprene. Preferred suit of those who dare the battle of frigid water. Designed, tested and proven under the Iron Fist of Mavericks. To aid in flexibility and movement, anatomical joints and seams were adjusted to fit to the upper and lower limbs in the natural flexibility zones. This enhances the performance of the Yamamoto neoprene so that the energy can be focused on surfing and not wasted working against restriction. Tri-athlete Inspired Panel Design for Maximizing Stroke Output and Recovery. Each panel synergistically works with the natural range of motion and flow of the athlete to enhance surfing performance. 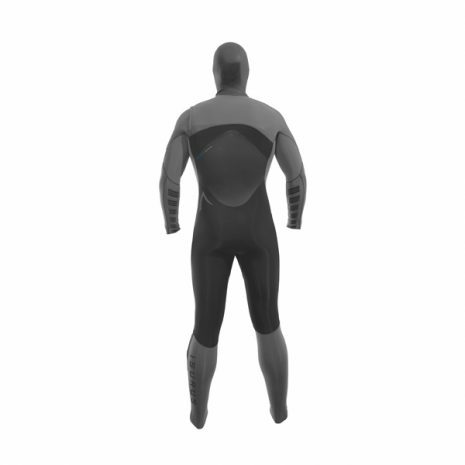 The inside forearms of the wetsuit have special entrapment zones designed to trap water during the catch phase of the stroke. This creates drag, resulting in greater power output per stroke and increased distance paddled. The FPS has been proven to increase swim speeds in triathlete competitions. 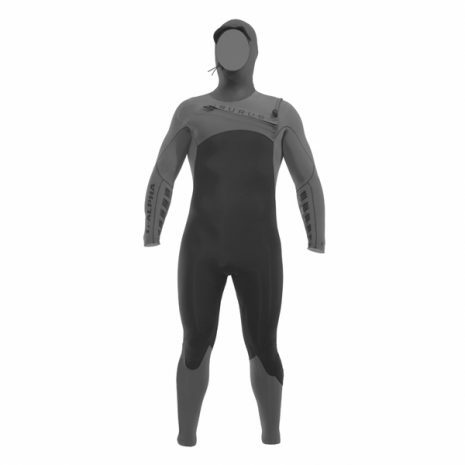 Innovative material that maintains higher thermal temperatures and improves buoyancy. Isurus maximizes the use of Yamamoto Aerodome in the core insulating panels of the torso. Aerodome is widely recognized as the most effective insulating neoprene on the market. SCS Thermo insulated Yamamoto. 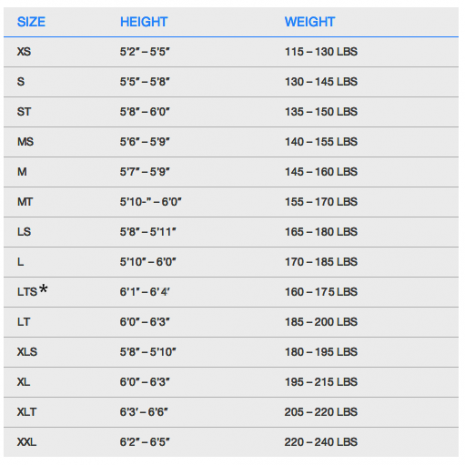 Yamamoto patented SCS improves the comfort to wear ratio and reduces the stress from the suit to the head. It contains a patented SCS membrane coating that makes the material ultra hydrophobic and wind resistant while drastically reducing the material thickness. The interior Thermo insulated membrane is applied over the closed cell neoprene and has amazing thermal properties. It is the thinnest, warmest and most comfortable hood available. The critical factor for maximizing paddle output is proper design of the underarm panel. Using proven bio-mechanical design principles from competitive tri-athlete wetsuits we designed a one piece panel from the hip to the elbow joint, no seams means less restriction. The underarm panel is the key panel which dictates the degree of unrestricted shoulder and arm movement, releasing the stroke action and allowing for a complete extension along the Latissimus dorsi muscles to enhance the pull phase of the stroke. To assist in natural movement of the knee, asymmetrical joint adjustments were made to the lower leg panel along the Peroneus longus muscle. This enhances the flexibility of the Yamamoto neoprene stretch and elasticity, so the pattern is working to divert restriction on the knee. 62 deg, north, Norway 25 jaunary. Water: just abowe freezing, air: a little bit colder, winds 25 mph. I havebeen using the suits for a few weeks, but this was the test day. The suit is not affected by the cold temperatures, but the windchill made me cold during long lulls, but not frozen, so it would be ok. When I got to move i didnt feel cold at all, colser to warm actualy. The suit is by far more flexible and lightweight compared to other suits you could use in cold water, and i have tried a few. Another great thing about the suit that has been a big problem with other sealed up fullsuits i have used is that water that gets flushed in gets out instead of staying inside the suit: adding wheight, blocking movement, make you cold and wear out your suit. The hood is tight and comfortable around chin and neck, feels free and flexible at the same time as it keeps your head and ears warm. Never been so pleased with a suit before. great buy! So much fun yesterday. That new Isurus wet suit is sick. 2hr morning session and 4hour afternoon session in 53 degree water and I got out cause I was to beat to go on. Not cause I was cold. That afternoon, I caught 31 waves on the shortboard and 20 on the SUP, that suit is like a second skin!!!! !